Mayor John Ducey has been lobbying for Brick to retain its status as home to a Veterans Affairs outpatient clinic, as the federal government seeks a new location for the overburdened facility on Route 70. Township officials have asked the VA to consider purchasing the so-called “triangle lot” which borders Jack Martin Boulevard, Burrsville Road and Route 88 for the new facility, which will require 480 parking spaces and new equipment that will keep veterans from having to travel hours away for certain treatments. The James J. Howard clinic on Route 70 is notorious for its overcrowding. “If you drive through the road where it’s located and look in the woods, you’ll see cars because that is where people need to park,” Ducey said. The mayor recently spoke with U.S. Rep. Andy Kim (D-3), Brick’s new congressman, about the project. Next month, submissions of lease or financial purchase agreements are due. Brick, as an alternative, proposed a vacant lot off Cedar Bridge Avenue for the project, but has focused on the triangle lot due to its location – just seconds away from Ocean Medical Center and a host of other medical facilities. 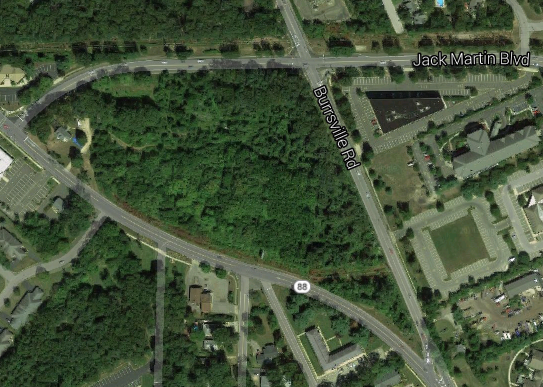 Toms River officials have been trying to lure the project to a property adjacent to the Seacourt shopping plaza on Hooper Avenue. Ducey said the property would be large enough to meet the VA’s need to host more equipment and services at the Ocean County clinic, including pain management and additional imaging machinery. As it currently stands, patients who require pain management and advanced imagery need to either visit a private facility at their own cost or go to a larger VA hospital in East Orange. If a veteran cannot drive themselves to East Orange, they must board a bus at the township’s VFW post and make the trip on a limited schedule. The new facility will also allow the VA to house advanced telecommunications equipment, mental health services in addition to primary care and the functions that the current clinic offers. The overtaxed Route 70 facility currently hosts 400 appointments each day. 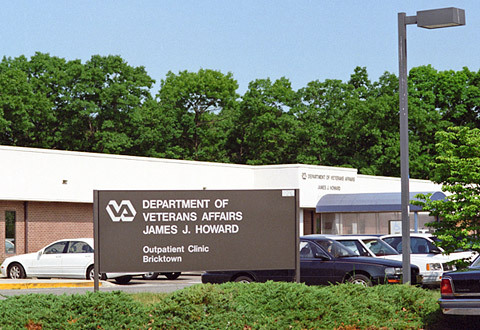 According to an interest solicitation request by the federal General Services Administration, the VA is looking to rent 81,000 square feet of space at a new location in either Brick, Toms River or Wall townships to use for a new outpatient clinic. According to the document, the space could be an existing building or sufficient land available where a new structure could be built. A requirement is that there be at least 480 parking spaces. Any lease agreement would have to cover a minimum period of 20 years.